Among many online stores today, the big names include Walmart and Amazon. In the USA and other places as well, many people prefer Walmart than Amazon. 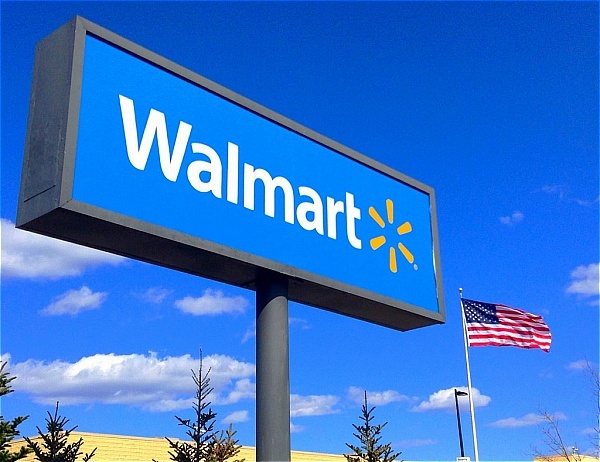 Walmart is more popular and has physical stores in the USA. China, Canada, and other areas. As the world latest retail stores, Walmart is famous for its always low price policy. There are an estimated of 260 million people go to Walmart stores or website to buy things. You can walk in and out of discount department stores and hypermarkets at any time of the day. Just like Amazon, Walmart is a leading seller of table tennis equipment. This article explains the pros and cons of buying table tennis equipment like paddles, balls, nets, and tables at Walmart. 1. Walmart stocks all types and brands of table tennis equipment. Unlike Amazon where a product may not be available for shipping, Walmart is the real deal. You cannot miss a product at Walmart. It stocks brands ranging from Eastpoint, Joola, Butterfly, and Stiga among others. It has a variety of tables, paddles, bats, rubbers, nets, and table tennis accessories. It is hard to find a product not in stock in Walmart. 2. Walmart leads in offering low prices of table tennis equipment. Compared to eBay, Amazon and other online sellers, Walmart offers equipment at cheap prices. Despite the low prices, the equipment is of high quality as they are sourced directly from the manufacturers. They also have a shipping period of utmost 2 days. Prices are even lower during Walmart Black Fridays. 3. Seasonal offers. When Black Friday is coming, all products in American stores will be greatly discounted. And Wal-Mart’s discounts on all products including table tennis equipment can be ferocious! DealNews.com found that Wal-Mart is one of the top five retailers offering the best deals throughout the week from Black Friday to Thanksgiving. In addition to winter, the hot July is also the peak season for Wal-Mart. 4. Better online deals and a quick to navigate website. Whether you are tech-savvy or not, it is not that difficult to navigate through Walmart’s website. You only need to search using product type, category or the name of the product you are looking for. You will get related products and choose your product from the list. Besides, in Walmart, the better online deals help you save more on every product you purchase. Popular table tennis items can be quickly accessed through the website. 5. Many physical stores. Walmart is a huge employer and has physical stores all over. It has huge stores that house a variety of products. Physical stores mean that once you search for your product online, you can either opt to purchase from the website or through their stores. You can order your item from any nearest store. 6. Reduced shipping fees. In Walmart, you land on low shipping fees. Some products are even free to ship. There is also a free option for storing shipping and picking up the products at the nearest local store. This means that you can order and pay online and then pick up the product from a physical store. 7. Price matching policy. One good thing about Walmart is their price matching policy. If the price of a Walmart table tennis product is not the lowest, you can also get a more favorable price through this price matching policy. For similar table tennis items, as long as there is a merchant cheaper than Walmart, Walmart will offer you the same price that the other merchant is selling. This method can help you to buy the cheapest table tennis equipment. 8. Good packaging. If you are buying the table tennis equipment from Walmart, you can expect them to delivery to your doorstep in good shape. Walmart is taking good care of the items that they ship to customers, so they will always make sure the packing is good enough without easy to get damage during transition. 9. Well-trained and experienced staffs. If you are visiting a Walmart store and having question one some table tennis equipment, you can find the staff in the store and ask them about your question. Most of the time, the staffs will be very helpful and are willing to explain to you what they know about that particular equipment. They are well-trained and they are having certain knowledge on the items that they in charge of. 1. Delayed shipment. Shipping a purchased product to a particular store can take longer than expected. This happens when you shop online and store the shipping to collect in a particular store where the item may not be originally present. 2. Walmart does not ship outside the United States. There are some table tennis products that Walmart didn’t ship internationally. Therefore, even you have identified a table tennis equipment that you want to buy, but you are staying outside of the USA, then you may not able to buy that equipment. Even now Walmart starts to work with USGoBuy which is a company that helps to ship Walmart items out from the USA to worldwide, but still the service is not a comprehensive coverage yet. You will need to inquire with them to find out if the gear that you intend to buy is shippable to your country or not. Get a variety of table tennis equipment from Walmart! You can purchase online and pick the equipment in your local Walmart store. Returning defective equipment is also easier as you can walk into any store and raise your claim. Save money and live better by buying paddles, tables, balls, nets, and blades from Walmart. You can save on both energy and money to find the equipment that you want by simply visit your nearby Walmart store if you are living in the USA. You can also search on Walmart online store and do a price comparison. If the price shown on the Walmart store is cheaper than the price the equipment sold in the store, You show the receipt to the cashier and they will rebate back the variance of the money to you.